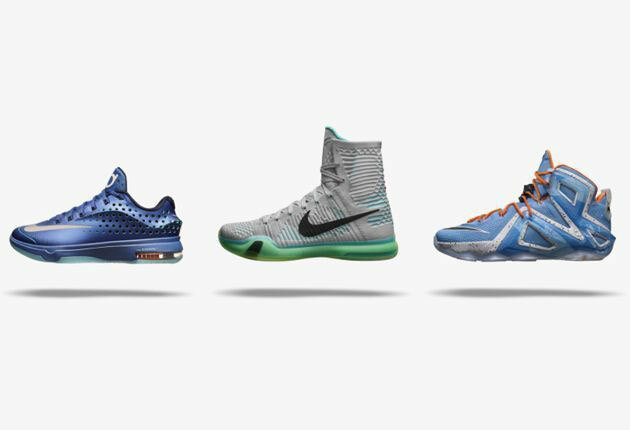 Nike has gone all-out for its Elite Series shoes for LeBron James, Kevin Durant and Kobe Bryant. 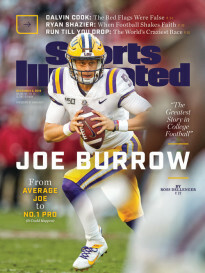 If the time and detail spent on Nike’s three top signature sneaker lines wasn’t enough, every year the Oregon-based company rolls out the extra-credit edition, a line chock-full of technology, dubbing it the Elite Series. 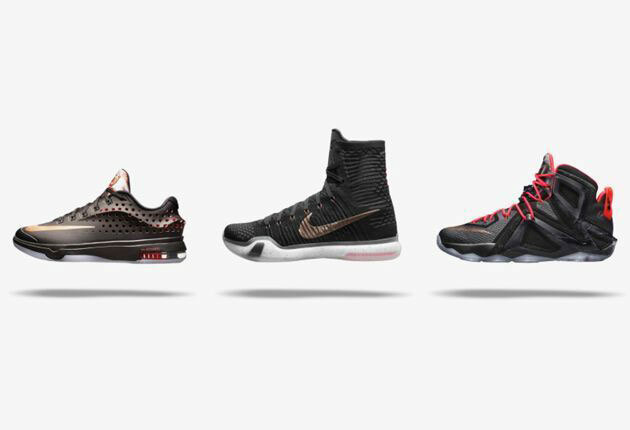 On Monday, Nike unveiled upgraded versions of the Kobe X, KD7 and LeBron 12 with Elite editions, each with three new colorways that will launch in April, May and June as the basketball season takes center stage. All three sneakers have the same color inspiration, with the Team Collection launching April 18 with distinct hues based on each players’ home colors, purple for Kobe, red for LeBron and grey for Kevin Durant. In May, we’ll see the Elevate Collection featuring hues of blues and in June the Rose Gold Collection plays heavy on black and rose. The newest in the line of signature sneakers, the Kobe X, takes a dramatic twist, changing from a low-top engineered mesh to a high-top Flyknit, as designer Eric Avar hinted at to SI’s Sneaker Hub during an interview in January. 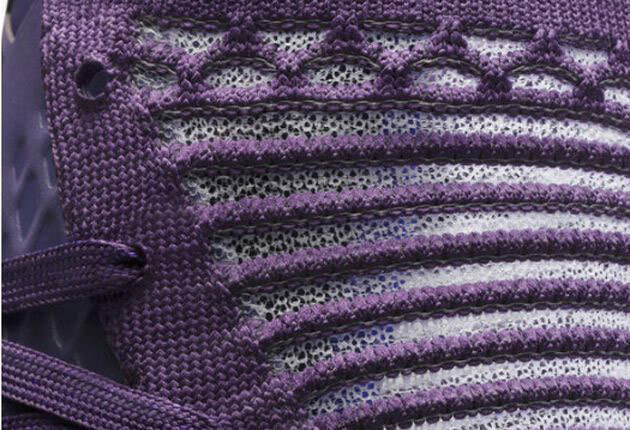 The Flyknit upper becomes the first basketball shoe to use recycled polyester yarn, with the equivalent of five recycled plastic bottles per pair. Avar brought in Flywire cabling for added support on the yarn upper. The Kobe X Elite continues the use of a new traction system and a cushioning strategy that combines Lunarlon foam and Nike Zoom Air. The Hyperposite construction on the upper of the KD7 Elite has added perforations to reduce weight and offer more zoned breathability, which also play a key role in a new aesthetic for the Elite. Flywire subtly offers support in the strapless version of the KD7 and Nike Zoom Air provides cushioning. 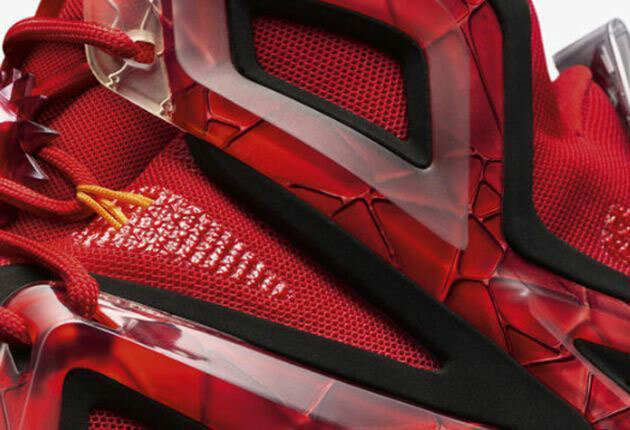 Designed for strength, the LeBron 12 Elite takes on a completely new look with “vertical wings wrapping the foot for lockdown and stability,” according to Nike. The mesh and composite Megafuse construction on the upper allows the wings to hug the foot strategically for support while giving the sneaker a bold look. 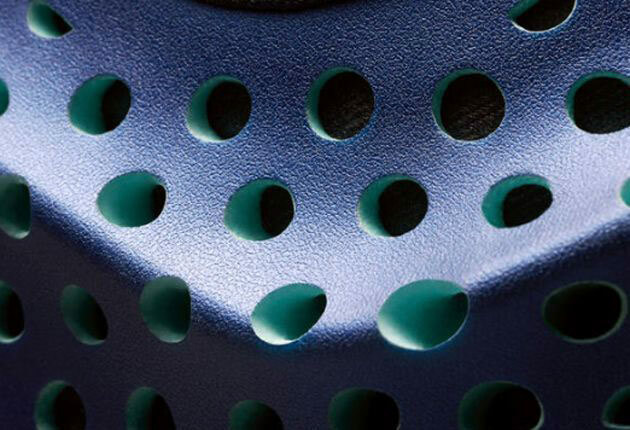 The six visible and independently moving Nike Zoom Air units remain on the sole of the shoe, with each pod engineered based on pressure mapping of a foot’s movement during basketball. For Nike, the Elite line magnifies sneaker technology in a signature way.